Coming from similarly poor backgrounds that neither felt they fit into, Gilbert Proesch and George Passmore felt instant kinship when they met at St. Martins School of Art in London (now Central Saint Martins) in 1967. Since then, the pair has been inseparable – in both their private and artistic lives. 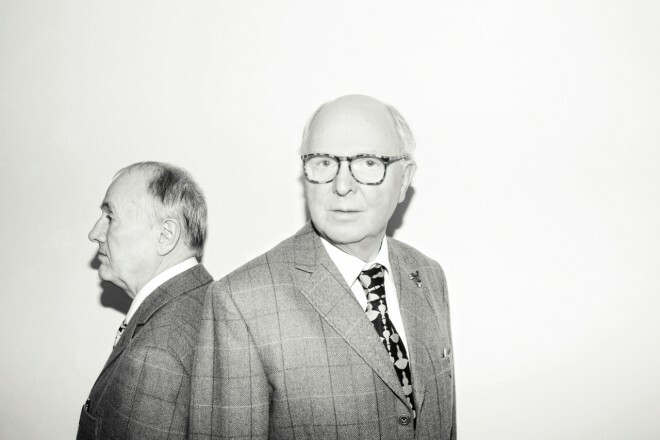 It’s an attitude that has won Gilbert & George all manner of fans while inspiring other artists including the Pet Shop Boys, David Bowie and Kraftwerk.